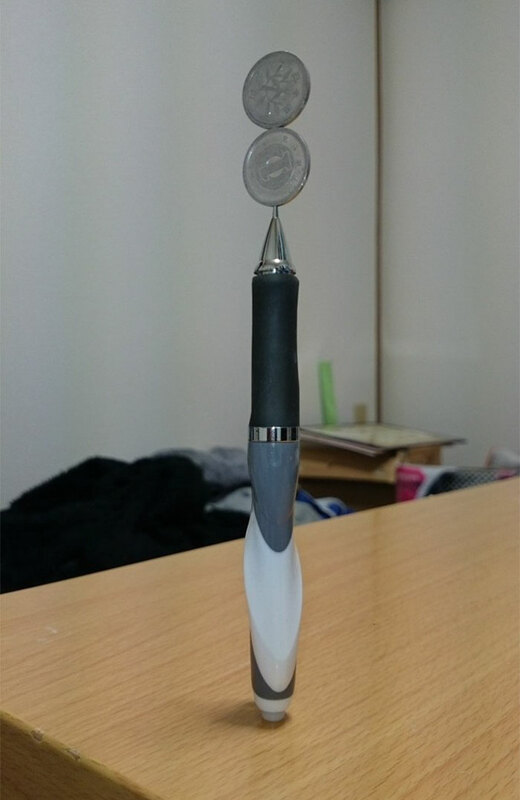 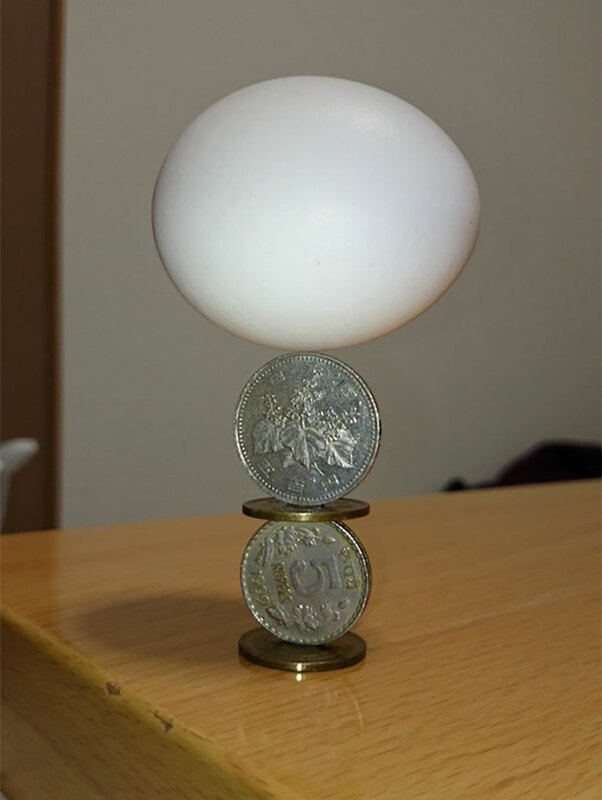 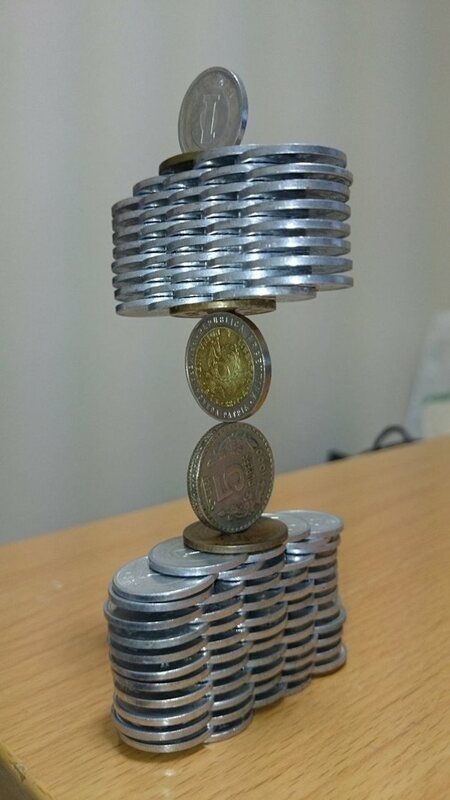 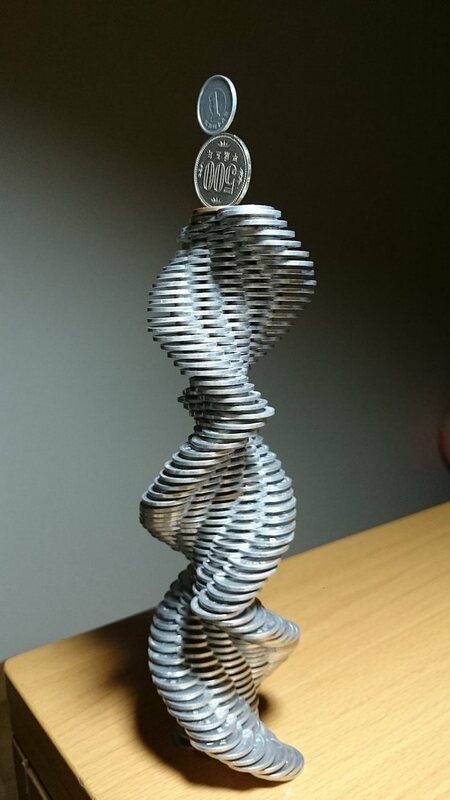 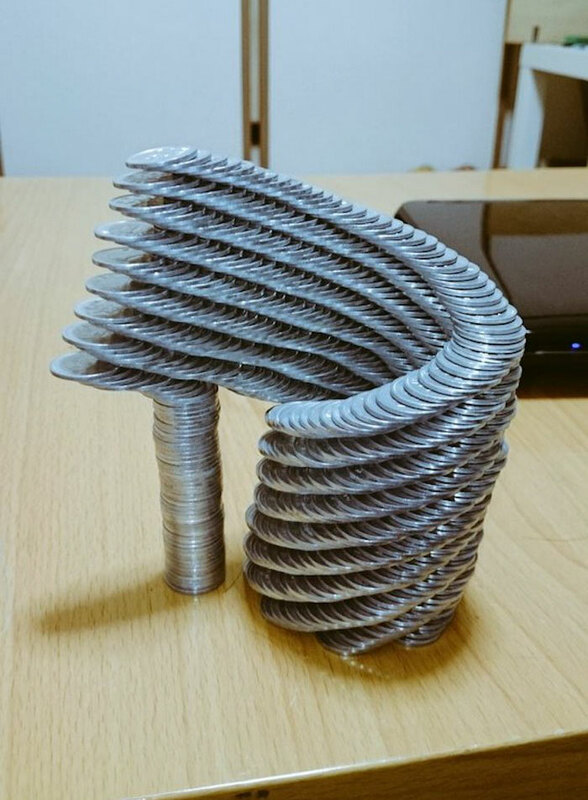 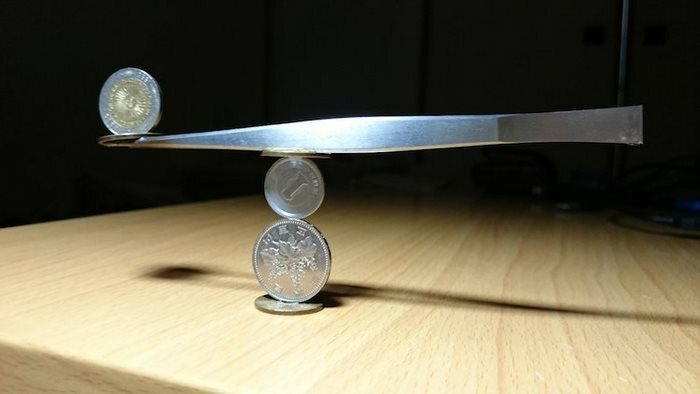 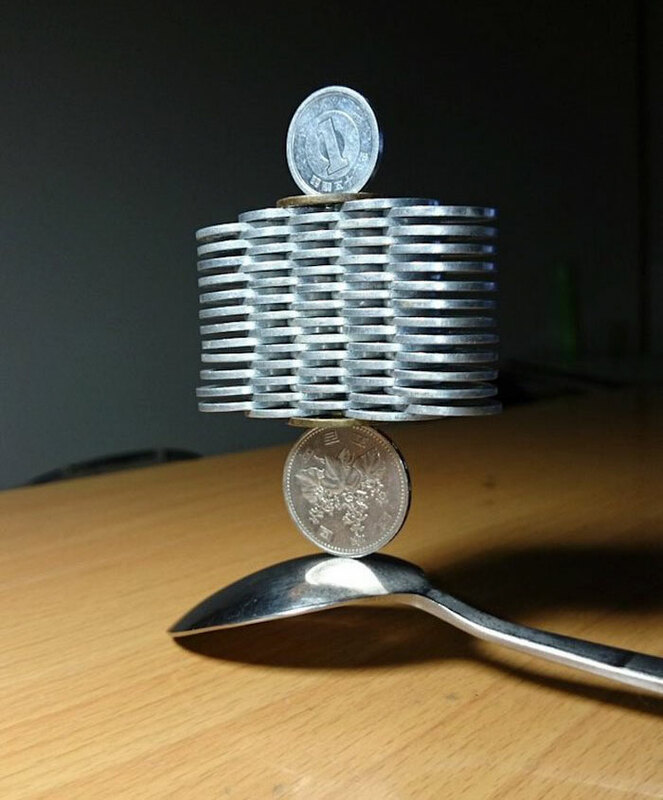 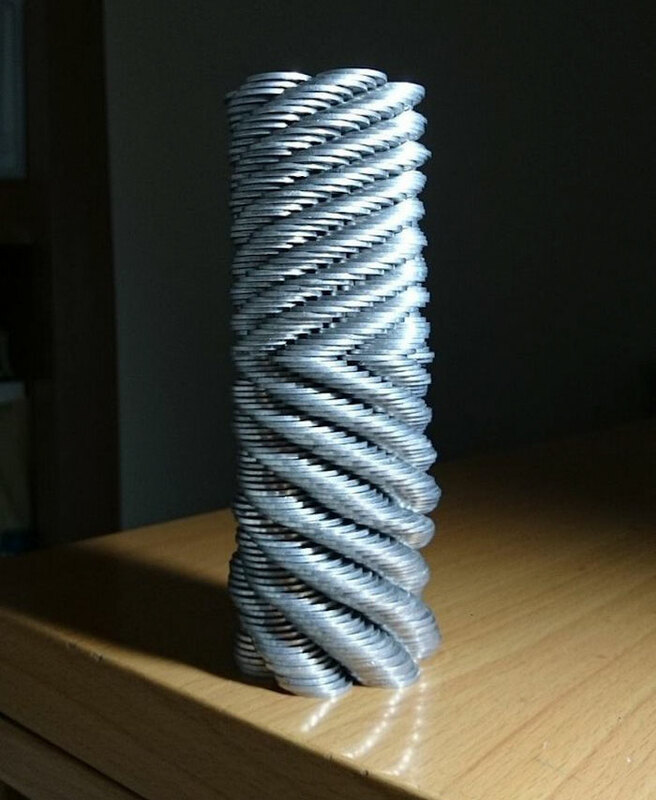 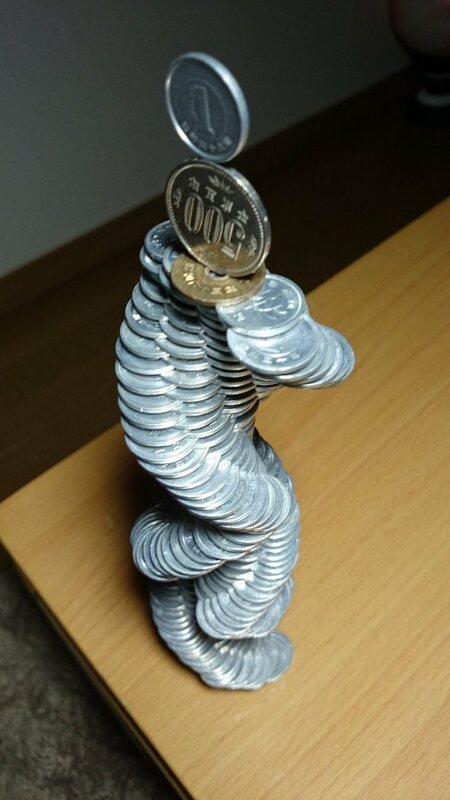 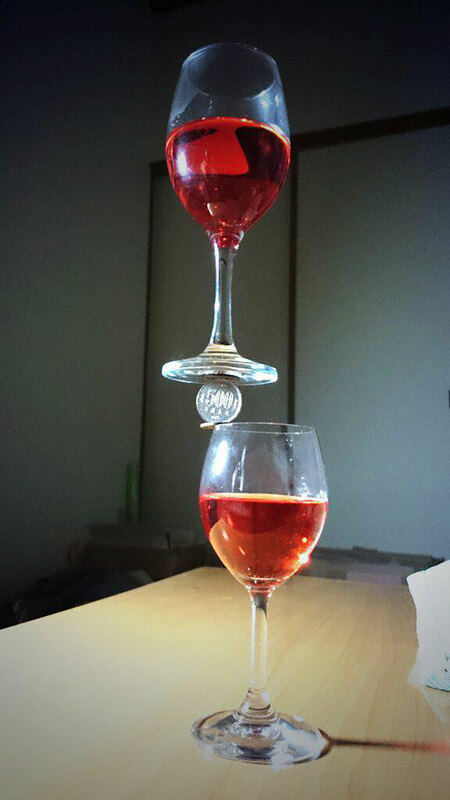 Japanese guy by the Twitter name @thumb_tani (aka Tanu) is really a master of coin stacking, whose creations are difficult for us to understand how he could have created such balancing works. 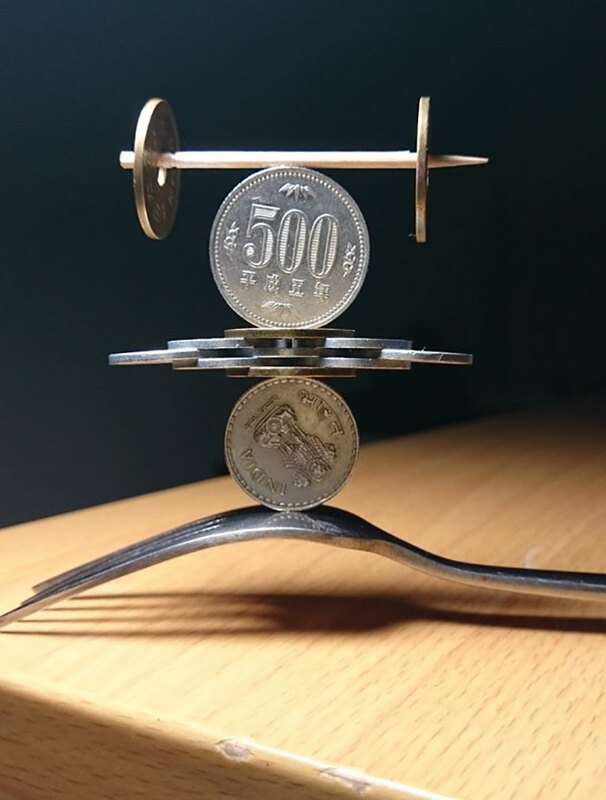 His video demonstrates the process behind these works of art, which is completely real and involves no camera-trickery, of course, it requires enormous amounts of patience and care. 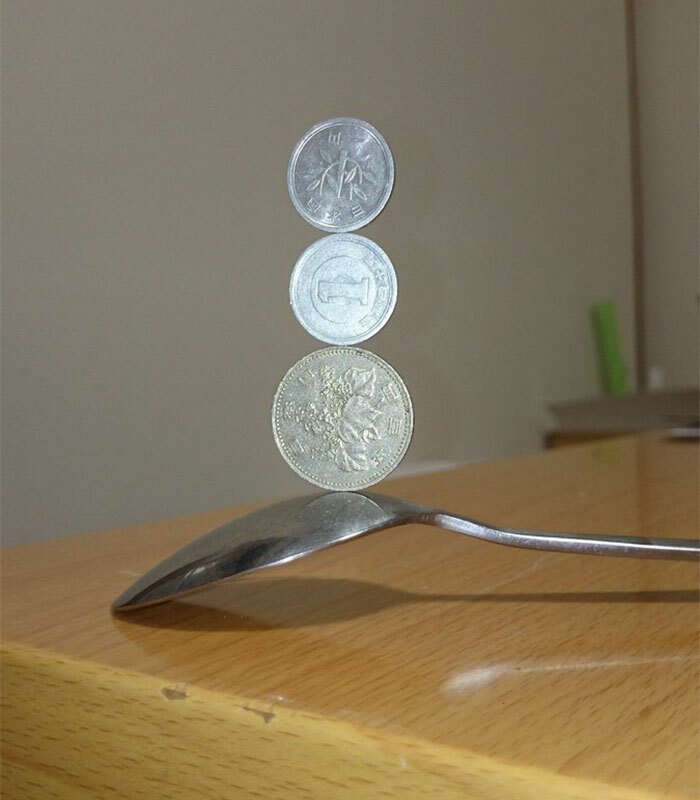 The video below shows how he makes it.